It’s perfectly understandable to want to go overboard during Christmas, but think about lessening decors this year so you don’t have to go through the pain of cleaning and putting everything back in storage. Assess what you have from previous years that are still usable and choose to skip buying new ones this time. Use natural twigs, leaves, flowers, organic materials if possible in your home setup so you can compost them after. You can use potted plants as décor and gift them to visiting relatives after the parties have ended. Instead of buying trendy clothes or toys, pick activities that you can spend with your kids. Sign up for a DIY Soy-CandleWorkshopand Watercolor Workshop at Flow Retreats. Not only will you be learning how to make beautiful projects from [scrap] materials that you have at home, but this can also develop your child’s creativity and could possibly be a business opportunity in the future. Making unforgettable memories is always way better than run-of-the-mill store-bought items. Visiting weekend pop-ups and farmers markets guarantees that you’ll find unique products that are most often handcrafted, just like this very useful Bambaunan from The Bamboo Company and Handloomed blankets from Sisa. You’re not only supporting Filipino communities but you’re lessening carbon footprint as well. Plus, we’re pretty sure the recipient will be doing a little happy dance once they unbox your beautiful and well-thought-out gifts. If you’ve got a knack for crafts or baking, then why not whip something up for your friends and family? Opt for reusable aluminum tins, Kraft paper or old magazine pages to wrap, abaca strings to gather which will add a very earthy feel to your gifts – not to mention it’s eco-friendly too. If you’ve always wanted to personalize your Christmas tree but don’t know where to start, check out the Zero-waste Ornament Making Workshop this December. 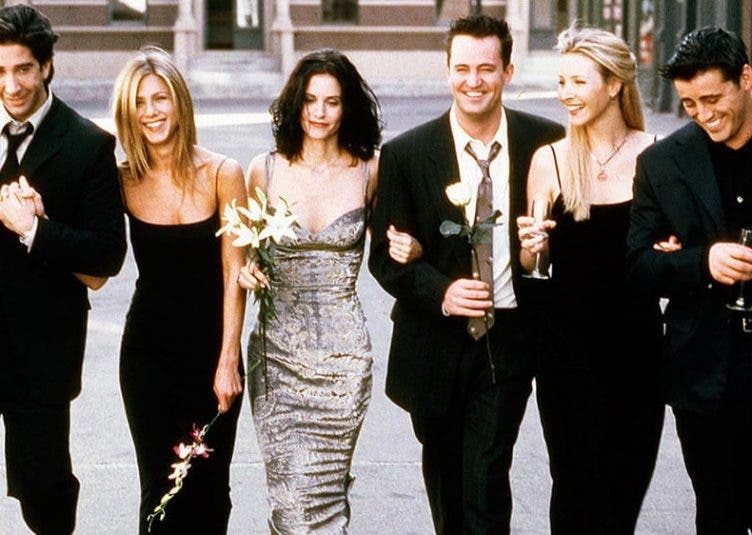 We know that even with the best of intentions we can’t help but swing by our favorite store one last time, or check out that one last bazaar in the neighborhood. Make sure to bring your own reusable cotton tote and not give in to plastic bags. We love these Shop The Alternative totes that you can bring anywhere. 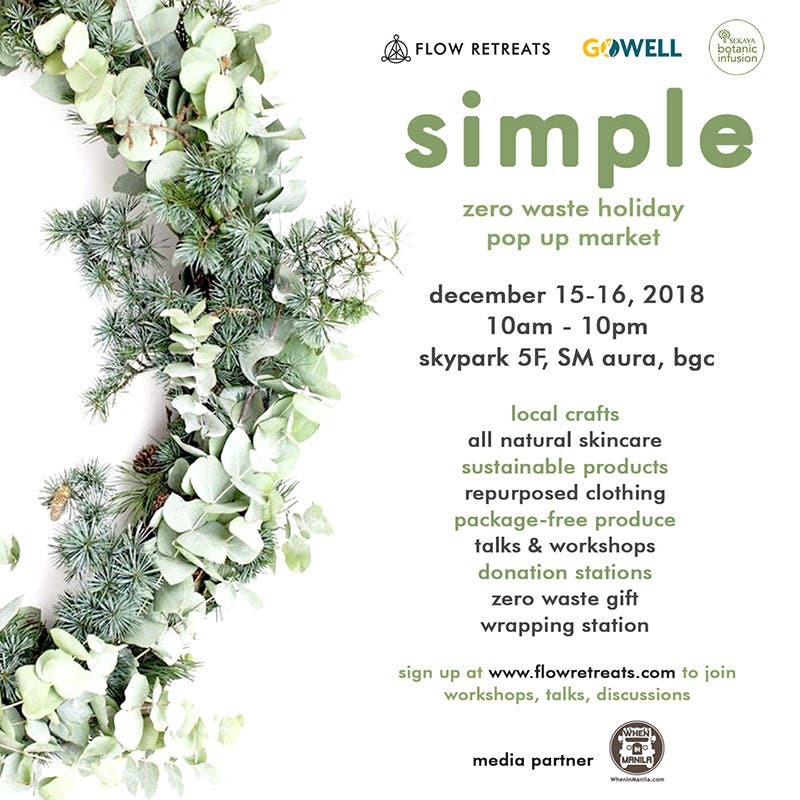 Visit the Simple Zero Waste Holiday Pop Up Market on December 15-16, 2018 from 10am-10pm at SM Aura Skypark for local crafts, sustainable products, all natural skin care, and package-free produce. There will also be talks on how to be practice zero waste this holiday season as well as DIY workshops on making your own Christmas gifts such as soy-candle and lip balm-making. Visit www.flowretreats.com for details and registration.